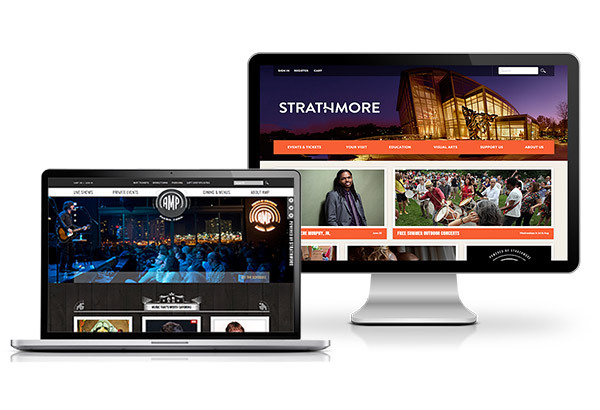 L2 Interactive is pleased to announce the recent launch of Strathmore’s fully Tessitura integrated website. Strathmore is a unique organization, as it functions as a multi-disciplinary arts center and presenting organization, and supports performances and events at multiple venues, including the Music Center at Strathmore, the Mansion at Strathmore, AMP by Strathmore, as well as throughout the local community. This robust event schedule, coupled with a sophisticated membership program, gave L2 Interactive the opportunity to work with Strathmore to develop and implement some new and exciting tools. 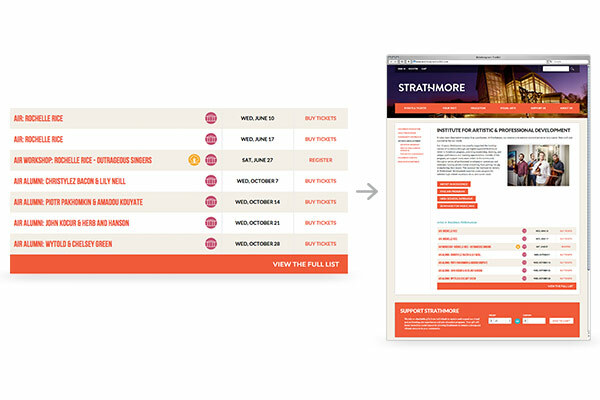 With so many venues and community events to manage, Strathmore needed additional opportunities to feature events across multiple pages of their website. While still maintaining a central, Tessitura driven Calendar and Upcoming Events listing, L2 Interactive developed a place-able event listing that can be utilized on any page of the website. Employing Tessitura Keywords to filter the list, events are unique to any page on which it is placed. Strathmore’s Membership Slider helps potential members to visualize membership levels and benefits, based on the amount they choose to donate. Instead of sifting through long paragraphs or tables of benefits listings, the potential member simply enters the amount that he or she would like to donate. 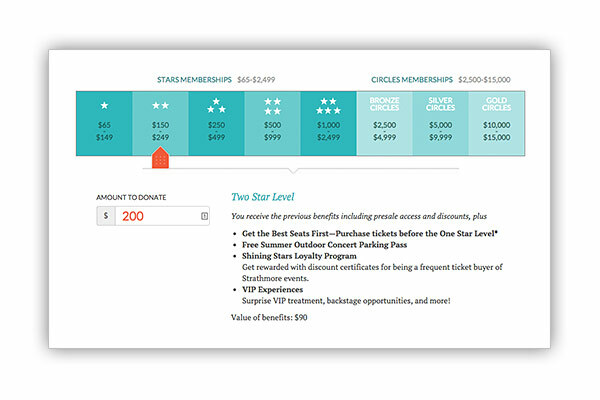 From there, the Membership Slider automatically moves to the corresponding “Stars” or “Circle” membership level and displays all relevant membership benefits, vastly improving the user experience. The potential member can also manually pull the orange slider to the multiple membership levels to see corresponding benefits. As the slider moves up and down the benefits listing, the contribution amount also adjusts accordingly. If a patron hadn’t yet considered becoming a member, Strathmore wanted to make sure that they had the opportunity. To do so, “Stars” membership up-sale messaging was placed in the single ticket purchase path. 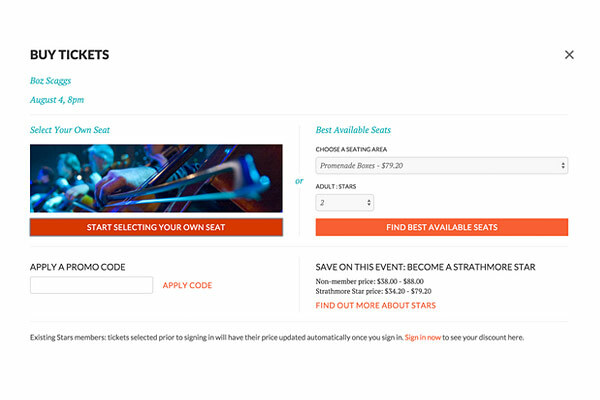 Before selecting seats for a performance, patrons are shown membership pricing, and prompted to visit the membership page. 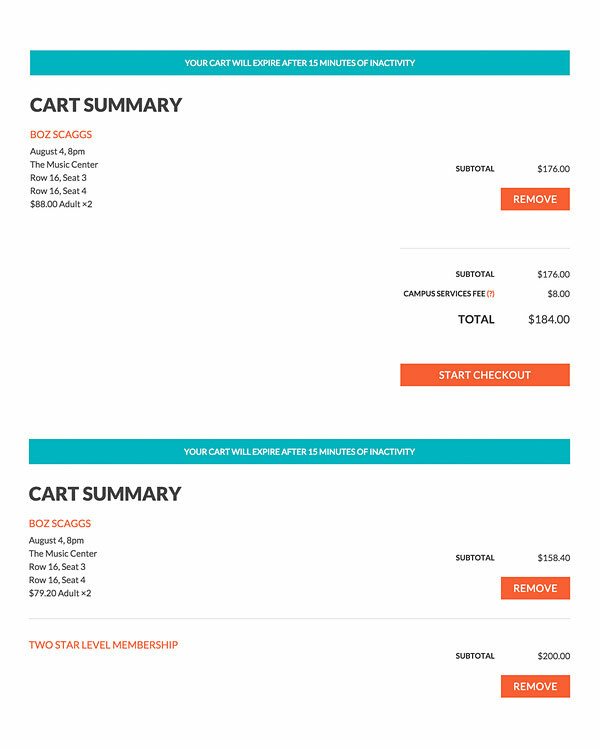 If a patron chooses to purchase a membership, this membership now in their cart will give them the lower ticket price with a seamless user experience. If the donation is removed from the cart, the ticket price will automatically return to the non-member price. Additionally, if a patron already has a “Stars” membership constituency, they will automatically receive the membership price in the cart. © 2018 Lynch Incorporated. All Rights Reserved.